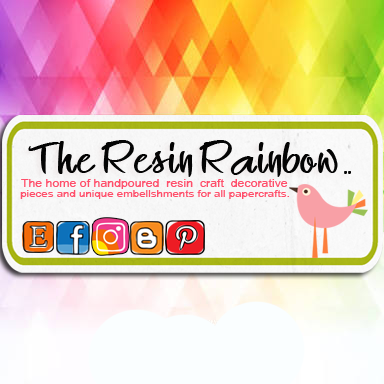 I was lucky enough to be given an advance sneak peak of the March challenge at Kraft+ as The Resin Rainbow will be a sponsor for the month! 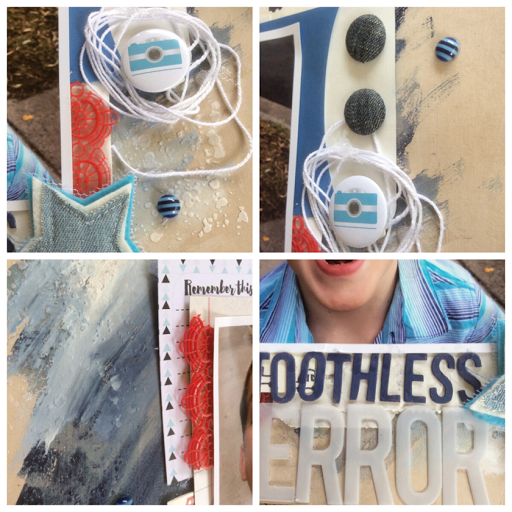 .. up for winning is a $10 etsy store voucher for 1 lucky scrapbooker! .. It wasn't hard to choose for this layout. 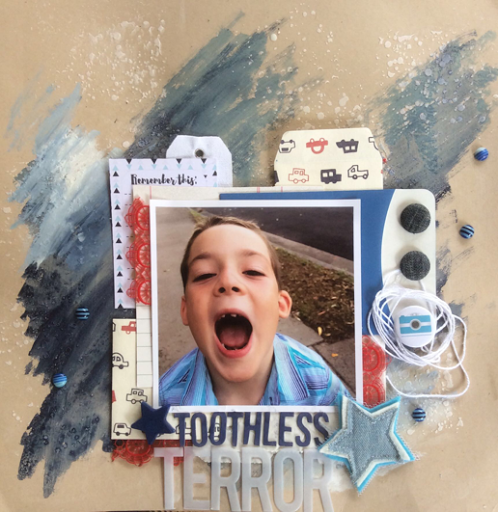 The crazy image of my son is all his toothless glory was perfect! He lost 4 teeth in less than a month - 2 of which while we were away camping. Tooth fairy was very poor for a while there. Bloom Resin Embellishment Flat Layer (cut up) from The Resin Rainbow .. Dark blue star from The Resin Rainbow ..
striped enamel dots from The Resin Rainbow .. Remember This card from d-Lish scraps as part of a JAP (just add paper) kit in . January 2017. 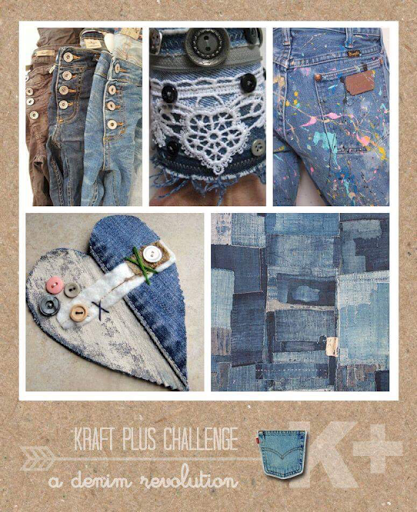 Now its time for you to get your own denim inspired challenge going, go check out the Kraft+ blog for all the details!